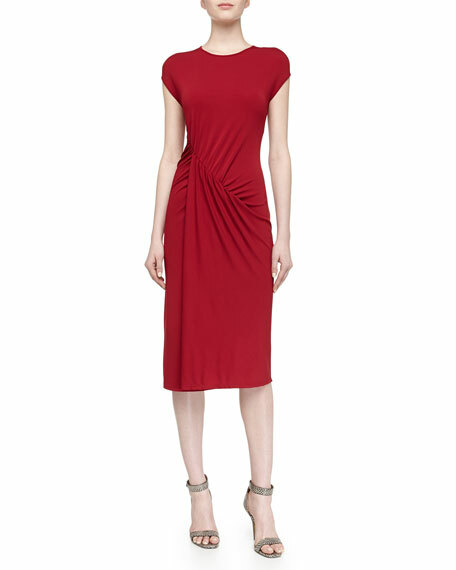 Michael Kors slinky stretch knit dress. Approx. 45"L from shoulder to hem (size 6). 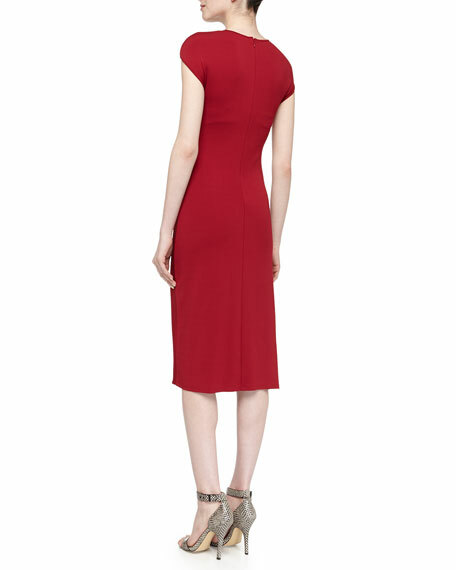 Asymmetric ruched seam across front. Skirt wraps to right slide; hidden slit.